Compatibility Test: Are your Thumbs Compatible? If you are looking for a quick compatibility test, just look at your thumbs as well as your parter's thumbs, and check whether each thumg is firm or flexible. The thumb can be checked for suppleness. The way it bends or stays firm will reflect how flexible or how rigid you are. How does the Thumb Bend? If you hold your thumb up, it may curve backward, or it may stay straight. If it stays straight, try applying pressure on the fleshy part. If it doesn’t bend, or bends only very slightly, the thumb is firm (left image). 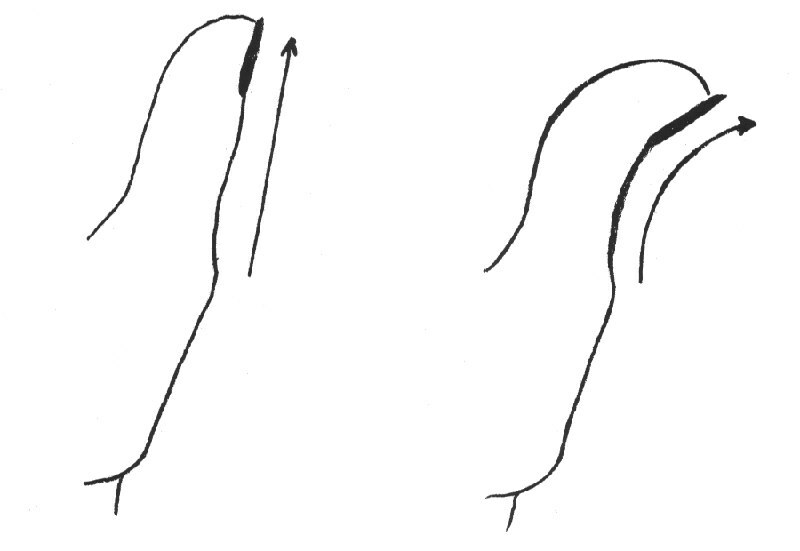 If it curves, with or without help, it is a flexible thumb (right image). How flexible are your thumbs? The person is able to undertake tasks with a sense of purpose and responsibility. He or she is very reliable, serious and careful. If the thumb is extremely stiff, the person can be rigid and may be hindered by too many rules. People with a flexible thumb are generous and spontaneous. They are willing to change their schedule in order to help others. Because rules are not important to them, they may lack discipline and persistence. They can be less reliable or not reliable at all! Compatibility Test: Which Combination Works Best in a Relationship? It will depend on the different personalities involved. Two partners with the same level of flexibility can be considered either too stiff or too unreliable by others, but they should be able to recognize themselves in their partner, even though it might be hard to accept! A couple made up of a firm thumb and a flexible thumb will have an opportunity to learn from the other side. As long as the couple gets along well, the two partners will combine the generosity of one and the reliability of the other. When conflict arises, they may start to express respectively their lack of discipline or their rigidity. One more reason to understand each other, improve their own attitude, and make the best of the relationship! Now that you understand this compatibility test, try it with all your friends and family members, and especially your partner, and get very interesting insights!